Monsoon seems like an ideal time to test vehicles. Rough patches and wet roads helps manufacturers test the safety aspect of their upcoming vehicles. And what grounds can be better than the twisties of Mahabaleshwar. 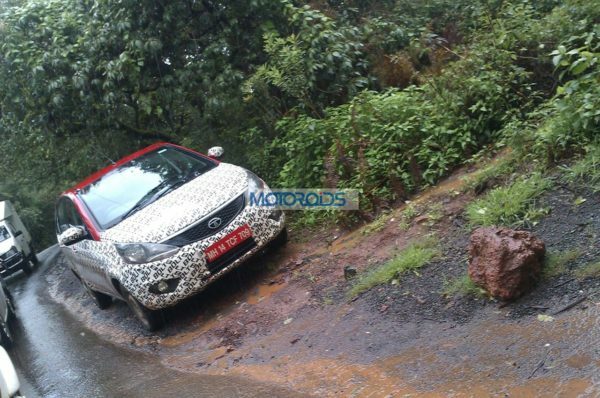 Avid Motoroids reader and follower Mujahid Shaikh snapped the latest images of the Tata Bolt, being driven in hilly region of Mahabaleshwar, where the manufacturer is testing the vehicle days before the official bookings open. Tata Motors has been witnessing fall in sales this year. Sluggish sales has forced the company to stop the production of its small car, the Nano in Sanand, Gujarat. The company hopes to revive its falling sales numbers with the introduction of the new Bolt and Zest. The new Tata Bolt would be powered a freshly developed turbocharged Revotron petrol engine that can make upto 90PS of power and 140Nm of torque. The diesel variant will be powered by the tried and tested 1.3-liter Quadrajet diesel motor that can make upto of 90PS of power and 200Nm of peak torque. Both engines will transmit power to front wheels via a 5-speed manual transmission. The 1.2-litre Revotron turbocharged engine, can be driven in three power modes – City, Eco and Sports. The Tata Zest is expected to hit the showrooms in August while the Bolt is most likely to follow next month. 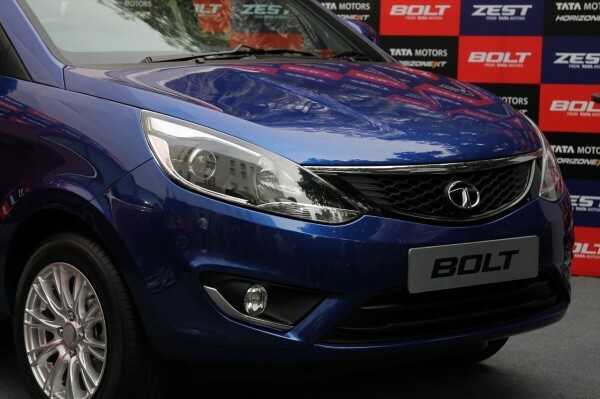 What do you think of the Tata Zest and Bolt? Share your thoughts through comments below. Stay tuned into Motoroids for all the updates from the world of auto.